SAID MRAD is a music lover,born in lebanon,and his career in the music scenes dates back to 1990 when he first started as dj,playing in the most famous nightclubs around lebanon such as JET SET,OPERA,and GOTHA. Through the years,he acquired an admirable sense for music,and became well known as "one of the best djs in the middle east". In 2001 he produced his debut album "1001 nights" and was released in the middle east in april 2001 and was named the "best selling arabian album ever" in history of arabic music. This succes made UNIVERSAL to sign SAID MRAD and they released his album in june 2002 in France where he enetred the national top 100 best selling album in FRANCE! it reached number 34 in the top 100 best selling albums the same year. 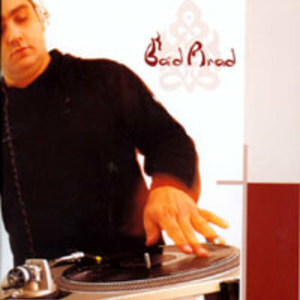 This huge success made SAID MRAD release another album in 2002 "SAID MRAD PLAYS BALIGH HAMDI" and also was a huge succes making it one of the best selling albums in the middle east.The success of his second album made WARNER to sign him and release the album in Europe in the summer of 2002 also. In 2003 he made his 3rd album " another 1001 nights" and was named best selling album in 2004.
since his success in Europe ,the 2 companies lunched his album worldwide and he has been touring the globe since 2002. He is now preparing his forth album which will be launched "february 2005" with EMI WORLD-WIDE. where big success in the midle east and europe. and he appeared in QUINCY JONES RECORDS"THE COSBY SESSIONS:REMIXES" ,the track is "UNITED"
RIDA BOUTROS,AMANI,LOU'AY,HISHAM ABBAS,KADEM AL SAHER.